Our long-time partner and all-round wonderful charity Tikva UK have launched a new campaign to raise enough funds to enable EVERY child they care for to have a new pair of winter boots. 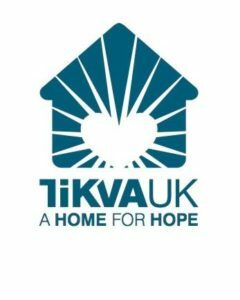 Tikva’s mission is to care for the homeless, abandoned, neglected and abused Jewish children in Ukraine and neighbouring regions of the former Soviet Union. Tikva provides a warm, compassionate and safe home for these children and provides essential social services. They provide quality education and are helping revitalise the growing Jewish community of Odessa. Their winter campaign aims to purchase 1000 pairs of boots – one for every child currently in their homes and schools – which will cost £20,000. Please help them reach their goal and help these children in time for Chanukah. Temperatures in Odessa will drop to -4°C so you can see the real need for reliable and warm winter boots for these children. Please click here to help Tikva provide for these children by putting warm shoes on their feet and smiles on their faces. Thank you!